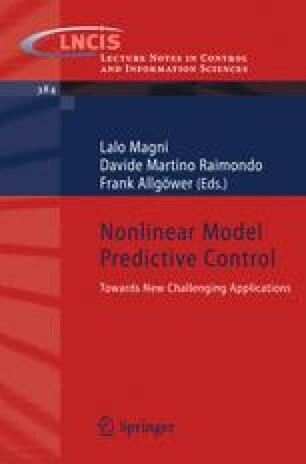 Although there is great motivation for adaptive approaches to nonlinear model prediction control, few results to date can guarantee feasible adaptive stabilization in the presence of state or input constraints. By adapting a set-valued measure of the parametric uncertainty within the framework of robust nonlinear-MPC, the results of this paper establish such constrained adaptive stability. Furthermore, it is shown that the ability to account for future adaptation has multiple benefits, including both the ability to guarantee an optimal notion of excitation in the system without requiring dither injection, as well as the ability to incorporate substantially less conservative designs of the terminal penalty.